This update covers developments on the freedoms of expression, association and assembly in Kazakhstan from November 2017 to January 2018. International Partnership for Human Rights (IPHR) and Kazakhstan International Bureau for Human Rights and Rule of Law (KIBHR) have prepared it for the CIVICUS Monitor based on KIBHR’s monitoring of the situation in the country. During this period, the president signed new legislation that media and civil society groups have warned may further undermine independent and investigative reporting. Plans to introduce an automatic system for monitoring and tracking down “illegal” internet content also gave rise to free speech concerns. Meanwhile, a draft law that the legal community fears may result in increased government control of the legal profession is still pending, and regional authorities recently attempted to deprive the chair of a lawyers’ association of the right to practice law is an example of the growing pressure faced by the legal community. A number of civil society activists, journalists, trade union leaders and others remain in prison on charges related to their peaceful exercise of freedom of expression and other fundamental rights. In a recent case, two civil society activists were arrested on charges of propagating terrorism, which their colleagues believe could be in retaliation for the activists’ criticism of government policies and plans to hold a protest on current political and social issues. A court decision to declare a peaceful miners’ strike in the Karaganda region unlawful drew attention to restrictions on workers’ right to protest, although none of the miners have been prosecuted. These and other developments are described in more detail below. Both houses of parliament passed new legislation on information and communications which the president signed it into law on 28th December 2017. While the government argues that the new law aims to improve regulation of information and communications, journalists and civil society representatives have expressed serious concerns that some provisions threaten freedom of expression and may worsen the environment for independent journalism. An open letter sent to members of parliament, which was signed by over 100 NGOs, journalists and activists, called for the law to be revoked because major provisions in it contravene international standards and recommendations, and restrict the free exercise of constitutionally-protected rights. As covered before, critics and others objected to a provision that makes the procedure for obtaining information from state bodies on issues of public interest more complicated and time-consuming. Another problematic provision requires journalists to obtain consent to publish information considered to contain private, family or other secrets – undefined terms that may be widely interpreted. Critics also fear it could be used to obstruct investigative reporting on corruption-related issues. The signatories of the joint open letter also voiced concern that the new legislation obliges owners of internet sites, where users may make comments, to monitor and censor online activity. Technology to identify users will have to be installed on these kinds of sites. In November 2017, Minister for Information and Communication Dauren Abayev stated that an automatic system for monitoring internet content is planned to be introduced by the end of 2018. According to Abayev, this system will be used to monitor “the entire internet” for the purpose of tracking down information considered illegal under national legislation. The minister also said that some 3,000 internet sites had been blocked because of unlawful content in 2017, and that some 270,000 requests to remove such content on social media had been sent during the year. At the beginning of January 2018, it was announced that the government had allocated more than four million EUR for the development of the automatic system for monitoring the national information space. The Ministry of Information and Communications monitors online and other media resources in accordance with regulations adopted in 2016. There are concerns that the government’s monitoring results in undue restrictions on freedom of expression since national legislation sets out broad and vague criteria for deeming information unlawful. For example, it is against national law to disseminate information containing calls for “extremist” activities, “riots” or unauthorised protests. The owners of internet sites and other media resources may also be requested to remove content and sites may be blocked without a court ruling. At the end of December 2017, human rights defender Vadim Kuramshin, imprisoned since 2012, was transferred to a prison in the city of Ust-Kamenogorsk in the east of Kazakhstan from a prison in the north, where he had been serving his sentence until then. His mother fears that he may be at risk in the new location since he criticised the prison’s administration and made accusations of torture prior to his imprisonment. Kuramshin has previously reported being subjected to pressure in prison. In a more positive development, in January 2018 a court approved the transfer of social media user Natalia Ulasik from the closed psychiatric institution in the Almaty region where she had been held to a regular psychiatric hospital in the city of Karaganda, which is closer to her home. Ulasik was subjected to forced psychiatric treatment after a court found her “socially dangerous” in October 2016. As reported before, representatives of the country’s legal community are concerned that the draft Law on the Activities of Lawyers and Legal Assistance elaborated by the Ministry of Justice may result in increased regulation and control of the legal profession and undermine its independence. Following a fact-finding mission to Kazakhstan in December 2017, the International Commission of Jurists stressed that any reform of the legal profession should be consistent with international law and standards on the role of lawyers. The Commission called for the adoption of the draft law to be postponed to ensure further discussion and more active participation of the legal profession in its development. Currently, the draft law is pending consideration by the legislature. The regional department of the Ministry of Justice brought a lawsuit against Raisa Yakybenko, chair of the association of lawyers in the Aktobe region, requesting that her lawyer’s license be withdrawn because she had allegedly failed to fulfill her obligations with respect to overseeing the work of the members of the lawyers’ association. Yakybenko and her colleagues consider this harassment connected with her criticism of the draft law on the Activities of Lawyers and Legal Assistance and position on the law on behalf of the region’s lawyers. After holding a hearing, a local court rejected the lawsuit on 22nd January 2018. On 17th November 2017, an Astana court ordered the closure of the NGO Alash Zholy on the basis of a lawsuit brought by a local state revenue department. The department had requested that the court deem the government registration of the NGO invalid, saying that two of the 11 signatories of the founding document had declared that they did not deliberately give approval for the establishment of the organisation. Speaking in court, one person did not deny signing the document in question but said that he had not realised what kind of document it was and what signing it entailed. By law, a public association must have at least ten founding members. The court handed down its ruling on the same day as the hearing. Alash Zholy suggested that the witness appearing in court might have been subjected to pressure from authorities and has deemed the court ruling unlawful. The NGO began operating in 2016 to oppose the government’s controversial plans for land reforms but was officially registered with the authorities in July 2017. As covered in the previous update, the UN Working Group on Arbitrary Detention issued an opinion on the case of imprisoned Jehovah’s Witness Teymur Akhmedov in October 2017, concluding that he was arbitrarily detained and should be immediately released. However, in December, the Supreme Court declined to review Akhmedov’s case, in spite of the opinion from the UN Working Group. According to Forum 18, because of the lack of progress on the case, Jehovah’s Witnesses submitted a further petition to the UN Human Rights Committee. At the beginning of January 2018, the Committee called on the authorities to provide Akhmedov with necessary medical care and to consider releasing him from prison pending a review of the case. Akhmedov is serving a five-year prison sentences after being found guilty of “inciting religious discord” because of his discussions on religious issues with a group of young people. He has serious health problems, including an intestinal tumour requiring surgery. In November and December 2017, several hundred miners in the Karaganda Region in central Kazakhstan went on strike to demand pay increases and improvements in benefits, given their difficult and dangerous work conditions. 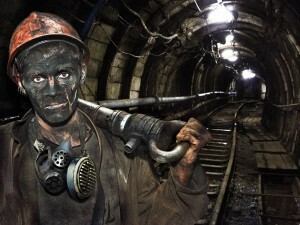 Among those protesting were employees at mines belonging to the Arcelor Mittal Temirtau metal mining company in the city of Shakhtinsk who went on strike on 11th December, refusing to return to the surface after their shifts had ended. While in negotiations with the workers, the mining company also filed a lawsuit with a local court, requesting that the workers’ peaceful protest be deemed unlawful. On 14th December, the court ruled in favour of the company, concluding that the workers had not given advance notice of the strike according to law. Therefore, the court ordered them to end the strike. The following night the strike was called off. The local prosecutor promised that the participants would not be prosecuted for their involvement in the strike and it was announced that the company had agreed to a 30 percent salary increase for underground miners, short of the twofold increase the workers had demanded. During the strike in Shakhtinsk, on 14th December the head of the NGO Miner’s Family, Nataliya Tomilova, was detained upon arrival at the mine to speak to the workers. The company’s security guards called the police and accused her of “petty hooliganism”. She was later released without charge. However, at the end of December, she said that she and a local trade union leader had been summoned for questioning by police. At the time of writing, there was no further information about developments in this case. The striking miners were broadly supported by local residents and messages of solidarity arrived from people all over the country and even from abroad. Other miners who were striking in late 2017 also obtained concessions from their employers, and no workers are known to have faced sanctions because of their involvement in these strikes, unlike during previous workers’ protests that have involved demands other than purely economic ones. For example, as covered before, after oil workers in the Mangistau region carried out a peaceful hunger strike to protest against the court closure of the Confederation of Independent Trade Unions in early 2017, participants were fined and two local trade union leaders were imprisoned. In the afternoon of 10th January 2018, residents of the Makhabbat and Makhabbat 2 housing complexes in Astana gathered outside the House of Government to protest against their impending eviction. They also requested a meeting with the president on this issue. Following an argument with police, the protesters, all of whom were women, were detained and accused of “petty hooliganism”. Late at night on the same day, a court fined 12 women about 30 EUR each and sentenced one of them to five days of administrative arrest. According to the women, a few years ago the previous owner of the housing in question offered to rent them the apartments where they now live and give them the opportunity to later buy the properties. They said that the owner took the signed agreements to officially register them with the authorities but never returned them to the renters. Now under new management, the owner has demanded that the residents give up the apartments, in spite of the previously-made agreements and the renovations they have made to the properties. Almat Zhumagulov and Kenzhebek Abishev are currently in pre-trial detention in Almaty on charges of propagating terrorism. They were both detained on 27th November 2017, along with several other people who are members of a WhatsApp group set up in connection with regular meetings held at Gandi Square in Almaty to discuss political and social issues. The activists said that they had applied to hold a peaceful protest on current issues of concern on 1st December, when the Day of the First President is celebrated in Kazakhstan, but that it was not approved by local authorities. According to the authorities’ investigation, Zhumagulov, Abishev and others implicated in this case were planning an action aimed at “violating public order, intimidating the public, and sabotaging the work of law enforcement authorities”. They were also accused of preparing a video message calling for an “armed jihad”, which was circulated only hours before they were detained. Zhumagulov’s and Abishev’s lawyers and colleagues believe that the charges against the activists are unfounded and politically motivated and are in retaliation for their views and criticism of the authorities. Zhumulagov had openly supported Mukhtar Ablyazov, a well-known exiled government opponent who was convicted in absentia and sentenced to 20 years in prison in mid-2017. The two activists have denied having anything to do with the above-mentioned controversial video and their colleagues have suggested that it may have been fabricated. Abishev has said that he does not have a smart phone and did not even take part in the WhatsApp group where the video was circulated. The activists’ lawyers have also expressed concern that media have labelled the two men “jihadists”, although the investigation has only begun and the case has not yet been considered by court. See also earlier updates on civil society developments in Kazakhstan published in November 2017, August 2017, June 2017, April 2017, and February 2017 (part 1 and part 2).